Welcome to Karen Ryan, who won 2nd place in the Summer 2014 Flash Fiction Contest with her story, "A Helping Hand." If you haven't read the story yet, please click here to do so. Then come back as we pick Karen's brain about writing! 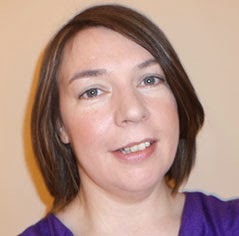 Karen Ryan lives in County Cork, Ireland with her husband, Martin. She completed her degree in electronic engineering fifteen years ago and worked in I.T. until her life exploded into mummyhood. She is now a stay-at-home mum to Ronan (5), Rachael (3) and Dylan (10 months).Karen’s not new to writing but she’s new to sending her stories out into the world. As Einstein once said, "Nothing happens until something moves." She spends most of her free time writing (as much as three small children will allow), and she’s currently working on her first YA fantasy novel. When she’s not writing, she’s reading, and sometimes she even gets to read something other than "The Gruffalo." Last year, Karen completed an online course with www.creativewritingink.ie and it was their newsletter that alerted her to WOW! Women On Writing. Going on the standard of previous winners, she’s honoured that her story has won a place in the competition. WOW: Congratulations on winning second place with "A Helping Hand." What gave you the inspiration for your story? Karen: The story came to me from a photo prompt, a picture of a person hanging from some balloons next to a cliff. The first word I thought of was "freedom". So I asked myself, "Freedom from what?" I considered the topic of suicide, but that seemed too obvious. Then I thought of the many "right to die" campaigns by people with degenerative diseases, and that led me down the Alzheimer's route. I like to write stories with a twist and from a less obvious viewpoint. WOW: Why did you decide to tackle a serious disease like Alzheimer's in a flash fiction piece? Very challenging? Karen: Alzheimer's is such a broad subject, but they say you should write what you know. My mother-in-law was diagnosed with the disease a few years ago. I like to write dark fantasy fiction, and Alzheimer's is probably one of the darkest and cruelest things a family can go through. In many ways, flash fiction suits a topic like this because the word count limits you, but the fiction element frees you from the constraints of medical science--it allows you to cure the incurable. So, I just had to pick one aspect of the disease--I chose the hopelessness of it all--and you have to ensure it carries through, whilst giving your readers a story. WOW: In your bio, it says you recently decided to send your stories out in the world. We are glad you did. What was the catalyst for this decision? Karen: My academic and working background is I.T., so I've no writing qualification--nothing that said, "Okay, you've learned your trade and you're good at it. Now, go out into the world and do more of it." I lacked the confidence to show anybody anything I'd written. You think it's something you might be able to do but you enjoy it, so you don't want to find out you're wrong or that you're wasting your time. Then I saw a six-week online writing course with Creative Writing Ink advertised and liked the anonymity of it. One mentor setting exercises and critiquing what I sent back. I received some great comments and encouragement and that, in turn, gave me the boost my confidence needed to believe in myself, just a little bit. Placing in WOW's competition has raised my confidence a few notches, too. WOW: Many of us are in the same position as you are with trying to balance being a mom (with young kids!) and writing. Both take a lot of time and energy. What are your tricks? Karen: I think if I had any more tips other than nab every second you get, I'd write a book. I keep a journal; it's in my phone, so it's almost always on me. Ideas never come to me at a convenient time. It'll be mid-nappy (diaper) change or during that crazy hour just before the school run. Once I jot it down, I can forget about it until the kids are in bed. If I try to hold on to it, if I don't have my phone with me, or if I try to wrestle with the idea in my head, I get narky and distracted. So, yeah, write ideas down a.s.a.p and come back to them later. Writing is my hobby. For some, it's playing the piano or gardening; but whatever the hobby, if you enjoy it, you'll always find time for it. I've got one kid in school, one in preschool, and my littlest takes a nap around eleven a.m. That's one whole glorious hour on a weekday to write. Luxury. Occasionally, if scenes are coming at me, thick and fast, and the writing gods are on my side, I'll ditch TV and the hubby in the evening or burn the midnight oil a bit. That's another thing you'll need. An understanding husband. WOW: How is your YA novel coming along? What made you choose the YA genre for the long piece? Karen: It's back to that old adage of: "write what you know". Fantasy fiction is what I read, mostly, and the majority are marketed as YA. I love the genre in books, TV and movies, so it's where I'm most comfortable. It wouldn't have made sense for my first novel attempt to be in any other genre, I think. The novel is coming along nicely. I sent it out to a small number of agents/publishers last year and actually received replies that weren't form responses. One publisher made some suggestions and asked to see a rewrite. I'm just polishing that rewrite now before sending it back. WOW: Best of luck to you, Karen. Thanks again for stopping by and chatting with us! Karen: Thanks to WOW! and The Muffin for all the nice words and encouragement.